Every thought pattern that has been created on Mount Emei has left behind an energetic matrix that permeates the location where it was originally emitted. Thus, the transmission of ancient wisdom to currently living beings is enhanced by the lingering energetic imprints that have accumulated here over time. In this way, Mount Emei provides us with the unique potential to directly connect with the consciousness of the many hundreds of generations of thinkers have lived, prayed, and practiced medicine in this sacred space for thousands of years. One of the most sacred transmissions to be received on Mount Emei is the Jinjing Gong practice of Nourishing Life, a cultivational path of Qi Gong that was created deep inside a sacred cave right on this very mountain. It has been a great honor to receive this transmission directly from Prof. Qingyu Wang, the current lineage holder of the Jinjing School of Qigong and Professor of Nourishing Life and Martial Arts at the Sichuan Academy of Cultural History. 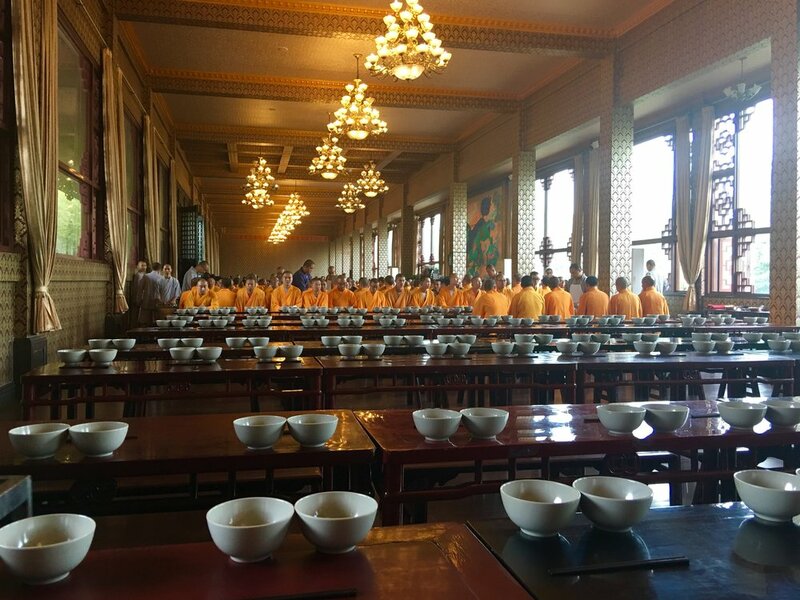 This retreat on Mount Emei has provided the unique opportunity to train alongside both Prof. Wang and his only disciple, Dr. Heiner Fruehauf. Each morning, we convene at sunrise at the nearby Fuhu Si Crouching Tiger Temple to practice a combination of movement practices and quiet practices that are designed to stretch the tendons, release stagnant energy, and cultivate spiritual vitality. The intention of this practice is to release the muscles and tendons as a way to open the acupuncture meridians. This enables the free flow of Qi throughout the internal organ systems and within all the cells in the body to prevent stagnation, the root of all disease. The ultimate goal of JinJing Gong practice is to achieve a level of self-cultivation where we become capable of refining our thoughts and actions so profoundly that we come to embody pure love, true compassion, and deep wisdom within our own lifetimes. According to Professor Wang, the sense of entitlement and narcissism that currently dominate modern culture convinces us that longevity is a commodity we can buy. Advertisements convince us that by surrounding ourselves with material objects and expensive modern medicines we will retain control over our own health and mortality. He points out the fallacy with this misguided belief system, as the cornerstone of holistic medicine is cultivation of mental and spiritual hygiene. Such practice allows us to live in unison with natural processes, as a means to prevent ourselves from getting physically, emotionally, and spiritually sick in the first place. This is the true essence of preventive medicine. From this perspective, longevity is directly related to the level to which you cultivate virtue within yourself. Within this cultivation is where the Daoist secrets of immortality begin to work their alchemical magic- even after your body dies, the energetic imprint of the virtues you have cultivated, the thoughts you have created, and their effects on the world will endure forever.